Wade Newhouse teaches literature and writing at a small liberal arts university in Raleigh, North Carolina. 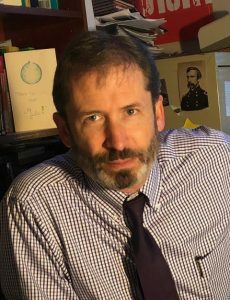 His fiction has appeared in Nth Degree and HelloHorror, and he has also published scholarly work on such gothic topics as the Civil War writing of Ambrose Bierce, ghost story influences on Neil Gaiman’s Coraline, and zombies in the work of Randall Kenan. He is also an actor, director, and improv comedian.